Like the larger MSP7 STUDIO, the MSP5 STUDIO is a two-way bi-amplified bassreflex system that delivers outstanding monitoring precision for digital or analog production in stereo or surround formats. The more compact dimensions of the MSP5 STUDIO make it an ideal choice for smaller project studios and DAW based production systems. The MSP5 STUDIO features a 5 inch cone woofer driven by a 40-watt amplifier and a 1 inch dome tweeter driven by a 27-watt amplifier. Other than woofer size, enclosure size, and amplifier power, the MSP5 STUDIO takes advantage of the same advanced materials and design technology that are behind the extraordinary performance of the MSP7 STUDIO. The woofer and titanium-dome tweeter feature advanced magnetic structures that achieve exceptionally low distortion, and the tweeter works with a unique waveguide horn that achieves broad, uniform high frequency dispersion over 120 degrees for optimum balance regardless of listening position. Advanced driver and enclosure design — including the low-diffraction rounded baffle — also ensure smooth, uniform dispersion across the system’s full reproduction range. Flat frequency response out to 40 kHz makes the MSP5 STUDIO great for mastering, where high sample and bit rates are the norm. 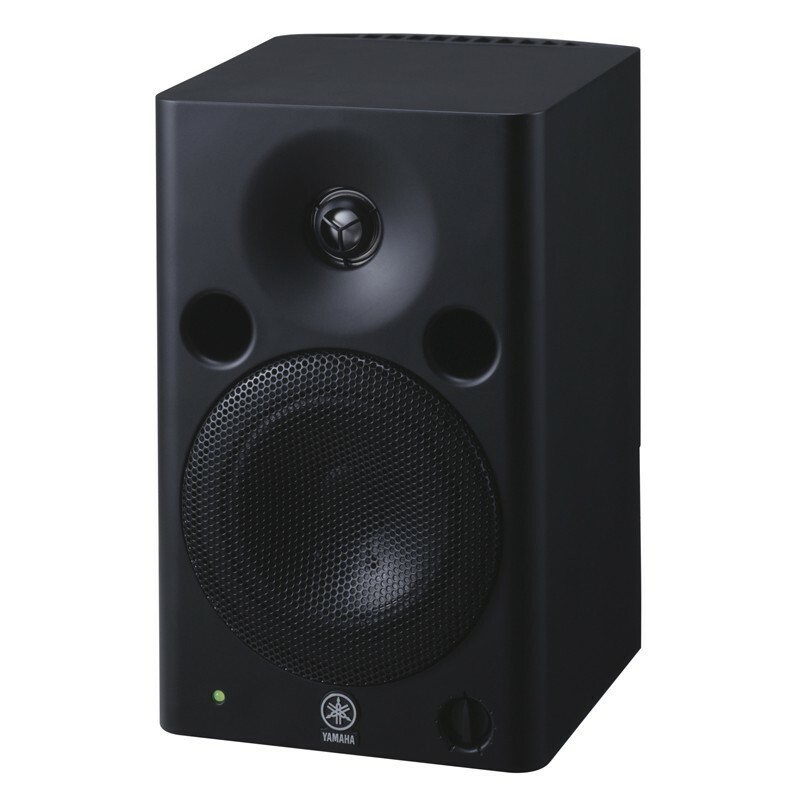 Along with their compact size and excellent performance, full magnetic shielding allows the MSP5 STUDIO speakers to be positioned near all types of audio, video, and computer equipment without sound degradation or negative effects on surrounding equipment. The MSP5 STUDIO has a balanced XLRtype input for direct compatibility with professional equipment. Balanced lines are ideal if the speakers are to be placed at the end of long cable runs which, if unbalanced, might be susceptible to hum and induced noise. The MSP5 STUDIO also offers an unbalanced 1/4" phone jack connector. The MSP5 STUDIO is equipped with four position low and three position high trim switches that allow the system’s response to be optimized for a wide range of acoustic environments.